How could this have happened to the baby in the family? Three years old? Are we sure? Mommy disbelief aside, we had a wonderful day with our sweet girl yesterday. She kept asking when can we 'go to her birthday', like it was a place. And every time someone wished her 'happy birthday' she said 'happy birthday to you too'. 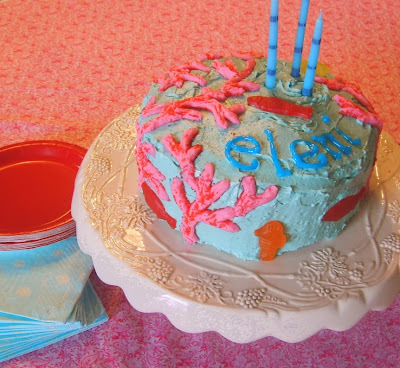 She ordered this custom 'under the sea' cake and wanted it red on the inside. Rather than dive into Disney duplication, I settled on a pale blue sea with a pink coral reef and Swedish fish in place of the more obvious characters of her favorite movie. Let's just be glad it at least looked yummy. It tasted less than yummy and I admit my defeat. I've never made red velvet, err well, I have now, but this one doesn't count. I actually have never been a fan. But now I am determined to both bake a delicoius one and like it. Any tips welcome. Oh and she was absolutely no help at all in the kitchen, just stood there. She got cocky after looking so darned cute in that apron. Miss Mango, however was lovely, and an inspiration to continue perfecting my baking skills. I did bake up the most delicious pretend cookies as a gift for sweetie. Ever since the little girls got a play kitchen for Christmas, Eleni has been serving up some really yummy imaginary cookies. But something was missing from her recipe. Day after day she would lovingly bring me a fresh batch into the studio for a sample. She is an excellent baker, but they needed something still. Then it hit me! Eleni's cookies needed to be tangible....but not like plastic playfood tangible. Like delicious homemade tangible! 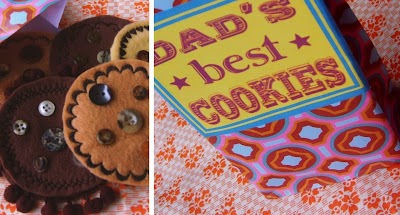 The package design had to pay homage to our head cookie chef......Dad. He makes the most amazing cookies. So good in fact, that my failure at red velvet had him smiling at me with a condescending yet loving head tilt and oh-thats-okay-not-everyone-is-great-at-baking look. We feasted on these yummies though. 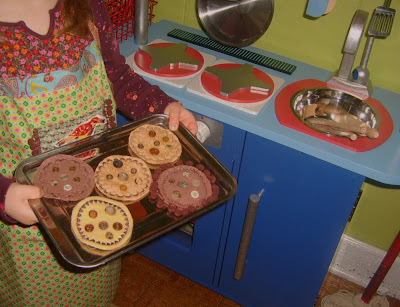 The simple ingredients of felt, machine embroidery and buttons make a delectable cookie, if you'd like to try. My parents joined us for a day of homemade burgers and fries, birthday kisses, watching our Bears win, and of course handmade gifts from Nani. 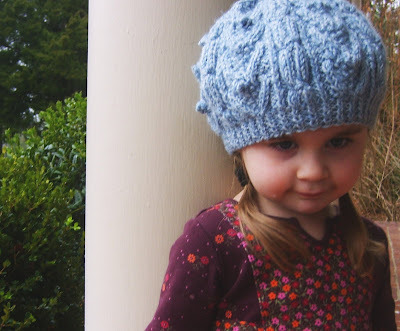 How gorgeous is this hat my mom knit? And if thats not enough, my mom makes the BEST red velvet cake in the world. I think she better come the next time I try. (got that, Mom?) Their visit and that hat topped our weekend and our baby off perfectly. Happy birthday to Eleni. The cake looked wonderful (even if it didn't taste as good as it looked). The cookies are soooo cute - very clever and I'm sure Eleni loves playing with them.... the hat does look gorgeous..or is it the beautiful birthday girl that's wearing it that makes it look so good??? Happy birthday to your little one! She's so beautiful!! I think your cake looks great. And, anyway, I thought birthday cakes were all about the look, not the taste. And then those cookies! Fantastic idea. Might just have to snaffle that one myself. Well done, I look forward to seeing the rest of your cake creations. Love the cookies, what a great idea, you could get quite carried away this idea. Yummy looking cake. Oh how the time flies by. The cookies are adorable! The hat coupled with those cheeks are just delicious!! Happy Birthday Eleni! She looks so cute in that hat. Right there with you....GO BEARS! Happy birthday to your youngest! I'm at the other end of the kid spectrum right now -- my first is only two and a half. We have the same play kitchen and my son loves to make me plate after plate of food to eat. I love the felt cookies and since they're such a quick project I'm going to have to add them to our wooden food collection. I absolutely love your blog and you're my inspiration that even after we have all the kids (my husband hopes for six!) I'll be able to find the time to be creative. I've been reading for a bit, and had to break the lurking to comment on the cookies--so adorable! Happy birthday to little Eleni as well! She is sooooo cute and I love all of the goodies! Cake looks awesome, I love the sweedish fish! Aaaaauuugh! She's so beautiful! 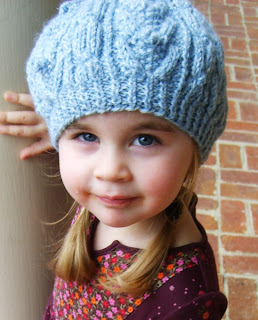 Look how sweet she is in her little hat... Happy birthday, Eleni. OH what a fun post to read and on a day I really needed it. Thank you! My daughter got a kitchen for Christmas too-I never even thought of making food. I will definately be doing your cookies. Some pizza pieces would be fun too. Build your own type. Stuff the crust with batting..my mind is rolling now LOL. I love the cookies! I'm going to have to make some fabric food for my little one. I've seen some really cute ideas lately and am getting inspired. Just whipped up some fresh cookies for our house! Thanks for the yummy photos and HAPPIE BIRTHDAY Eleni! What a doll!!!!!!!!!!!!! They grow up WAY TOO FAST! My baby will be three in a few, too! your little one is soooo adorable! love the hat from your mom and the cookie idea is fantastic....happy birthday to eleni! Oh my goodness - that last picture of Eleni is unbelieveable sweet! She is quite the adorable three year old! The cookies are so yummy looking I'd love to make some but no one here plays make believe kitchen anymore. Happy Birthday dear little one. Cute hat, cute girl, cute cake. Bravo! Also, you have a good eye for photos. I would never think to take them at such clever angles. Re: red velvet cake -- have you ever been to a party where the cake is in the shape of some furry animal, and the insides are red velvet?? Yuck! Eleni had a much better idea for it. Andrea at Hula Seventy makes herself red velvet cake for her birthday every year. Check out her red velvet cake Flickr set for great pics and tips -- she said it's taken her years to get it down. Great cookies, I can see a summer project coming for my two daughters! I made a 4 layer "castle" cake for my son last summer. The cake kept tilting and we propped it up in the back with popsicle sticks. So the 2 hours before the party, I kept yelling, "hurry, eat more popsicles, the cake is moving again!" consider yourself tagged! i am tagging you for six weird things because I enjoy your blog so much. RULES: people who get tagged need to write a blog post of 6 weird things about them as well as state this rule clearly. in the end, you need to choose 6 people to be tagged and list their names. Don’t forget to leave a comment that says “you are tagged” in their comments and tell them to read your blog. But I am so completely normal!!! hmm. okay, thinking weird, shouldn't be hard. This is really nice and helpful sharing! Waiting for more of such shares.